The Paradisso collection by Roberto Grassie features dark maple eco-veneer with high gloss lacquer finish. 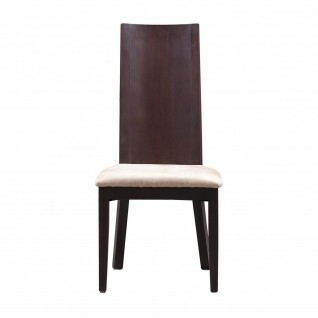 The Paradisso dining chair features a rounded back features which complements the oval dining table perfectly. The combination of light pearl beige faux-leather against the dark maple color creates the perfect balance.